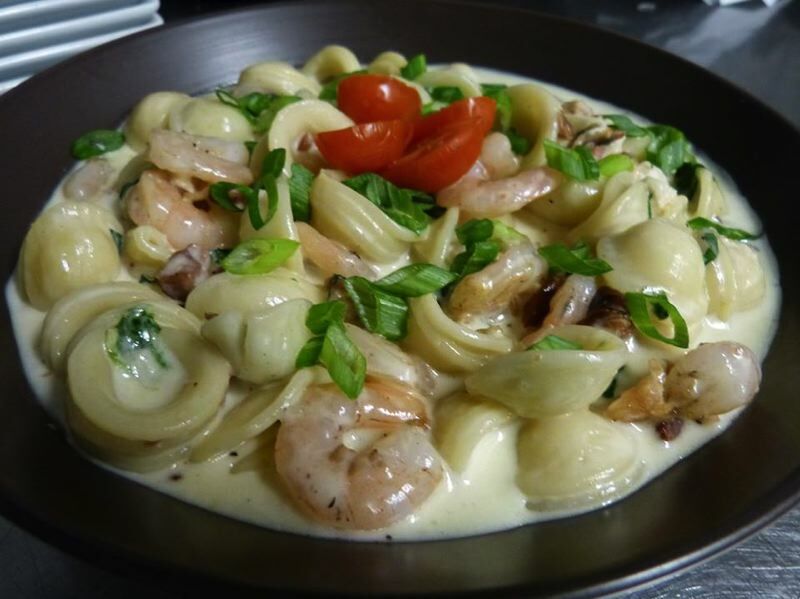 Spinella's Off the Wall mixes relaxed dining with fun artistic and musical outlets. With holiday excitement subsiding and several more months of gray, wintry days, finding local entertainment options this time of year can feel challenging. 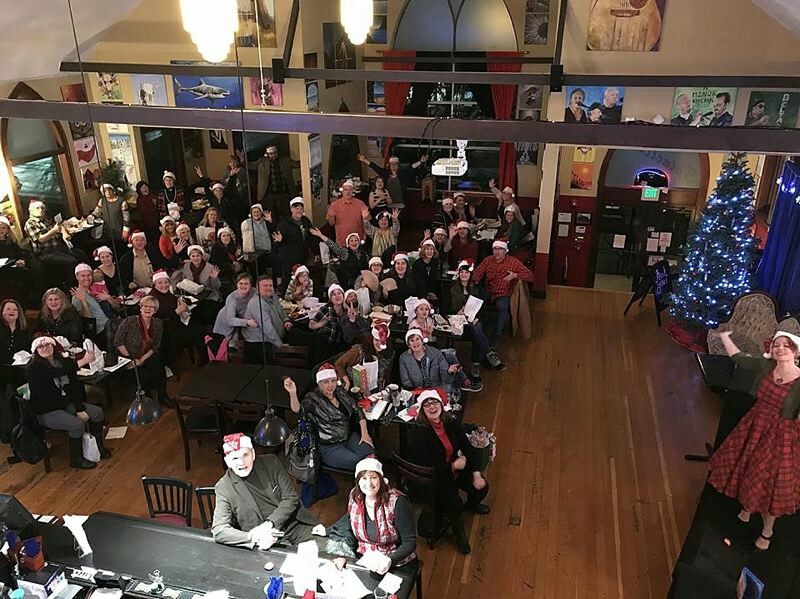 Enter Spinella's Off the Wall, a family-owned restaurant and music venue operating in downtown Gresham since December 2012. 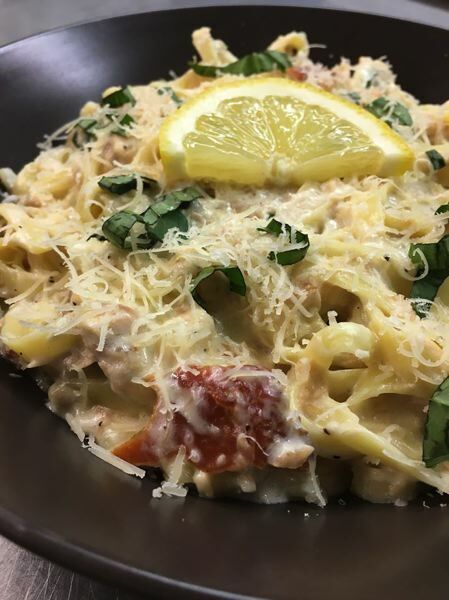 With everything from live band performances to Sunday Paint Nites (painting parties paired with drinks), Spinella's can help chase away those dreary winter blues. "It's a community," owner Michael Spinella says of his family's business. "We see our neighbors on a regular basis. Anyone that comes out we might see for dinner today and drinks and live music tomorrow. Everybody's welcome." Housed in the old Zion Evangelical Church, a historic 1928 building that the family restored over the course of nine months, Spinella's offers a fun, eclectic atmosphere. The food menu features catchy names and descriptions, such as "Brie-liever" and "I Don't Smoke But My Salmon Does," while the entertainment schedule continues to evolve and expand. Karaoke nights have been a mainstay from the start, at times drawing crowds of 40-50 audience members and 15-20 singers. The karaoke set up will, from time to time, feature dress-up themes, drawings or giveaways for special events. Along with Monday and Friday karaoke nights, Spinella's keeps a full calendar of solo or duo artist performances every Thursday and Saturday. Larger bands, such as the Saturated Phats Band, perform every 6-8 weeks. "We have all different types of music," Spinella says, highlighting the variety of acts from throughout the country. "One week it could be alt-rock, the next week an Irish cover band." Paint Nites, hosted in partnership with the eponymous company, take place twice every Sunday at Spinella's and often sell out. Spinella's has hung 48 16-feet by 20-inch paintings created by customers throughout its space. 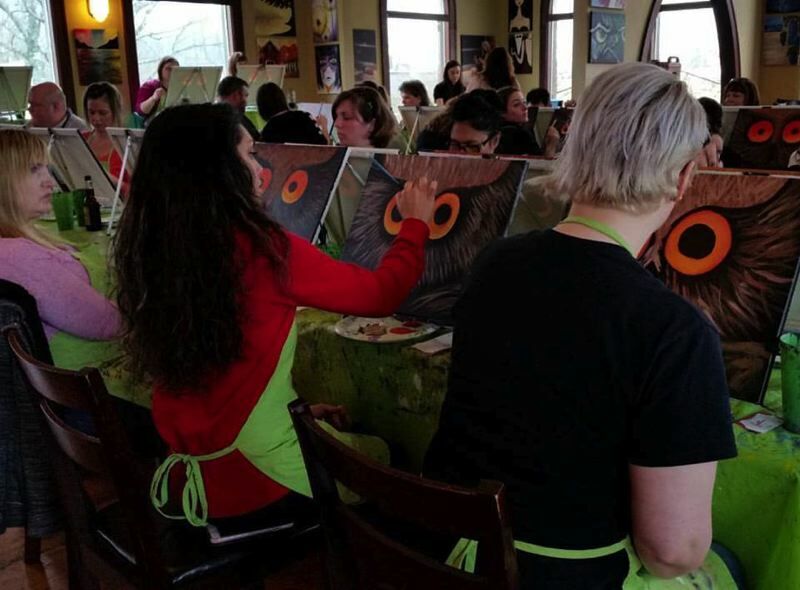 And sometimes, Paint Nite instructors will even come in to paint live bands performing. The restaurant and entertainment venue is run by Spinella, his wife Deanna, daughter Alexandria Keahi, daughter-in-law Justine Guthrie and close family friend Robert Gullikson. A new chef just joined the team, as well. Looking ahead to 2018, the Spinella family intends to continue their popular singalong nights. Thus far, they have hosted singalong nights to "Grease," "The Sound of Music," "Mary Poppins" and "White Christmas." 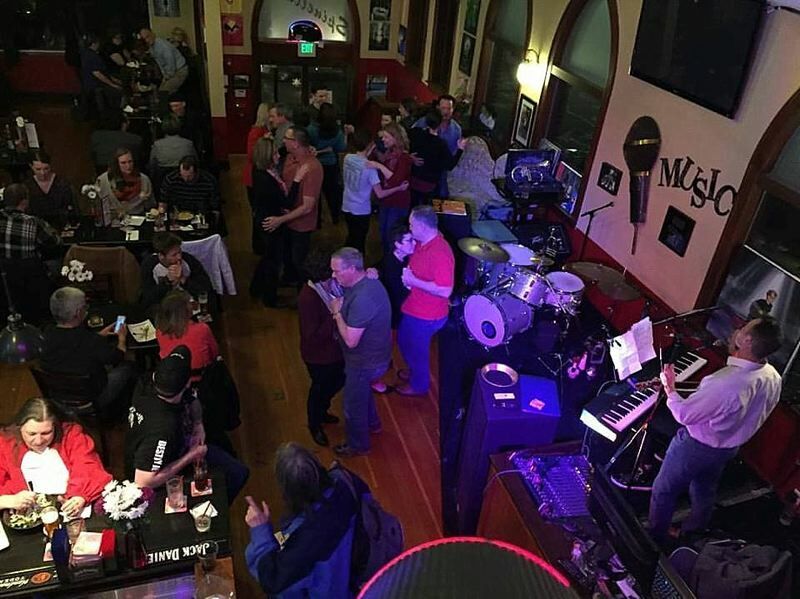 "Mama Mia" is in the cards for March, and Spinella's may start hosting the singalongs monthly. The family is also is testing out a variety of new menu items, along with dinner shows featuring comedians. With the venue focused on artistic and musical expression, what you won't find in Spinella's is a TV broadcasting sports or lottery machines. "We try to do things everyone else isn't doing," Spinella says.